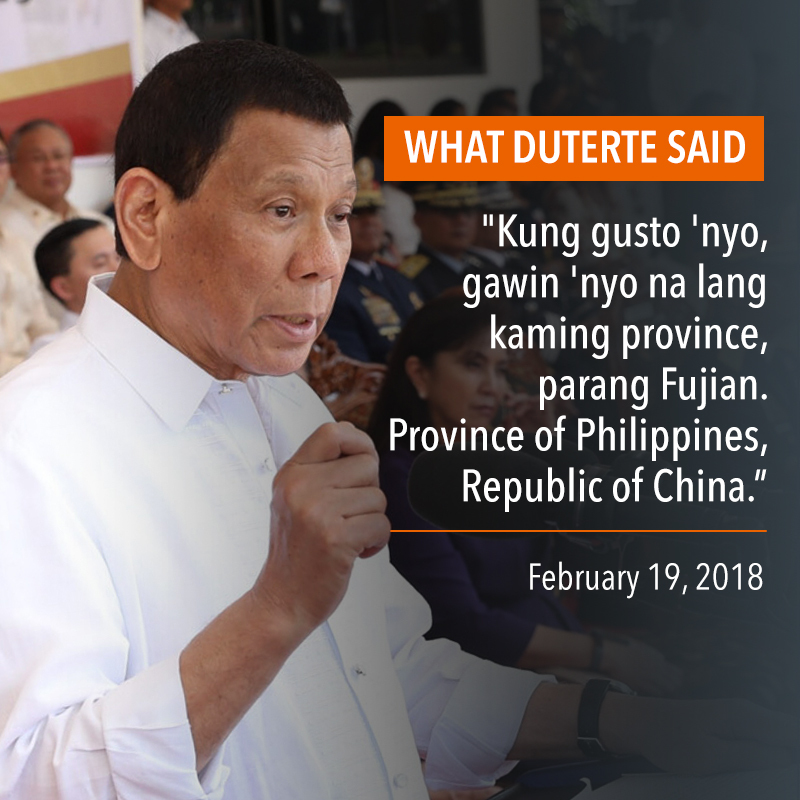 MANILA, Philippines – Two years into the Duterte administration, the so-called “creative interpretation” of controversial statements and actions of President Rodrigo Duterte continues. 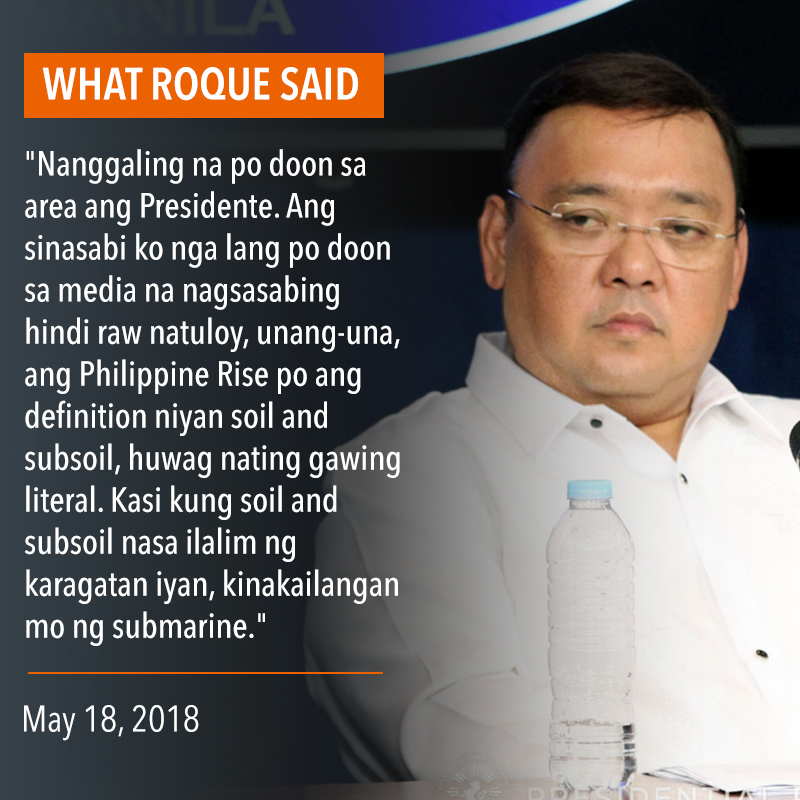 It often stems from an impromptu speech that carries controversial lines not quite expected from an official occupying the country’s highest government post. 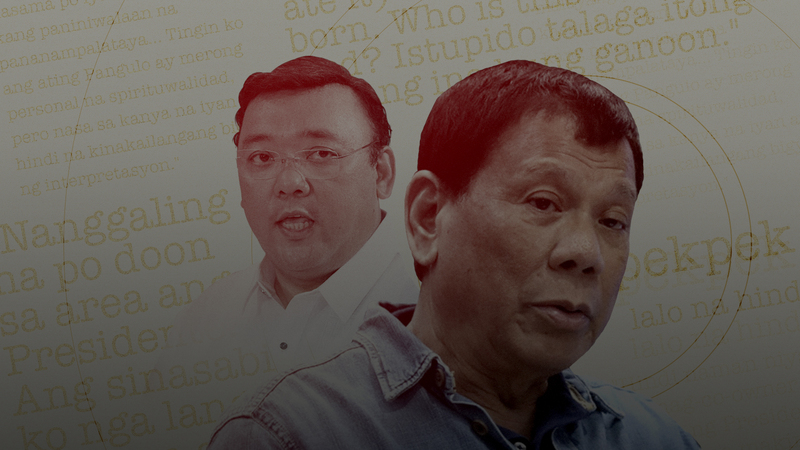 The controversial pronouncements often draw the ire of the public and make headlines in both foreign and local media. 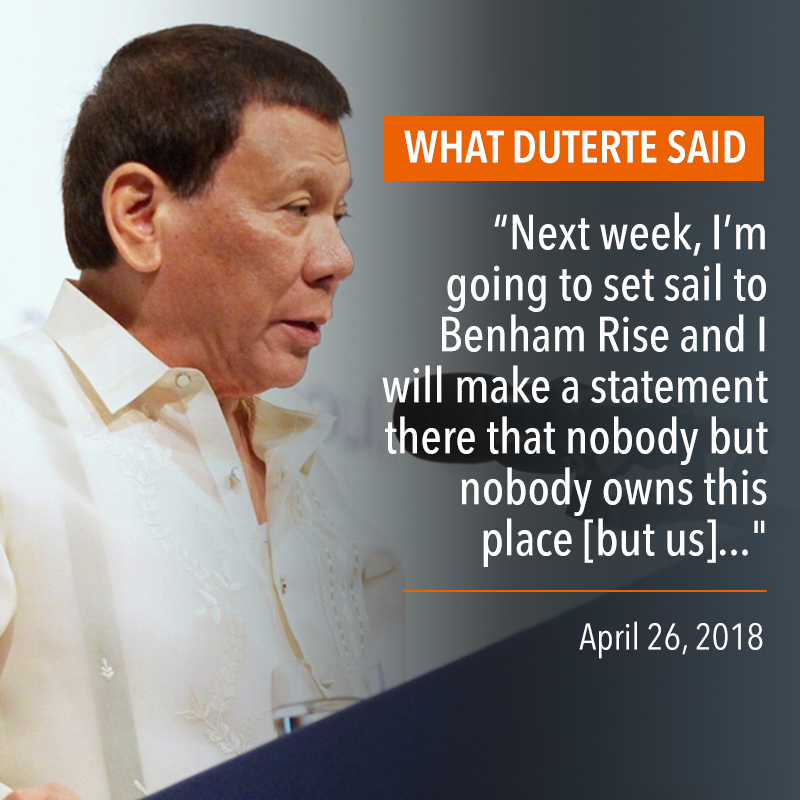 He told Rappler that he has “ceased to have personal opinions” as he speaks for the President now. 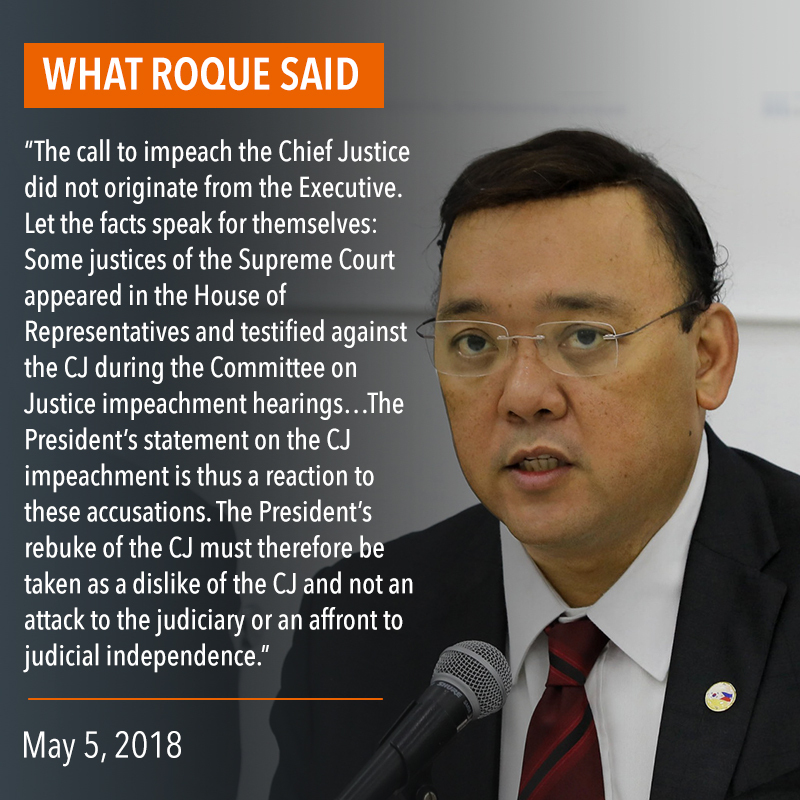 And speak for the President he does – even to the extent of, according to critics, bending and twisting words in an effort to at least make the President’s declarations less controversial. 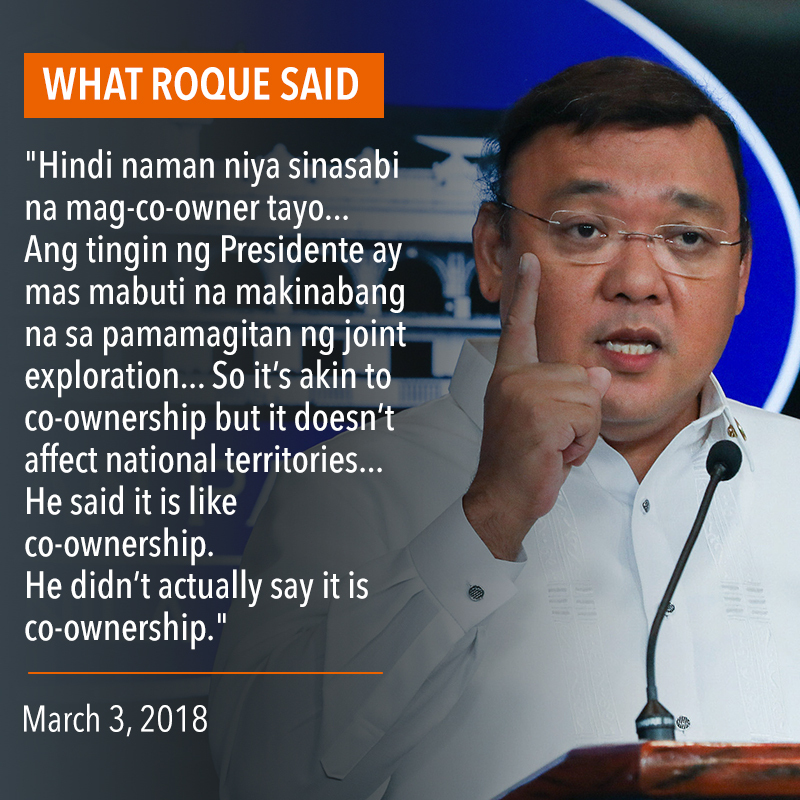 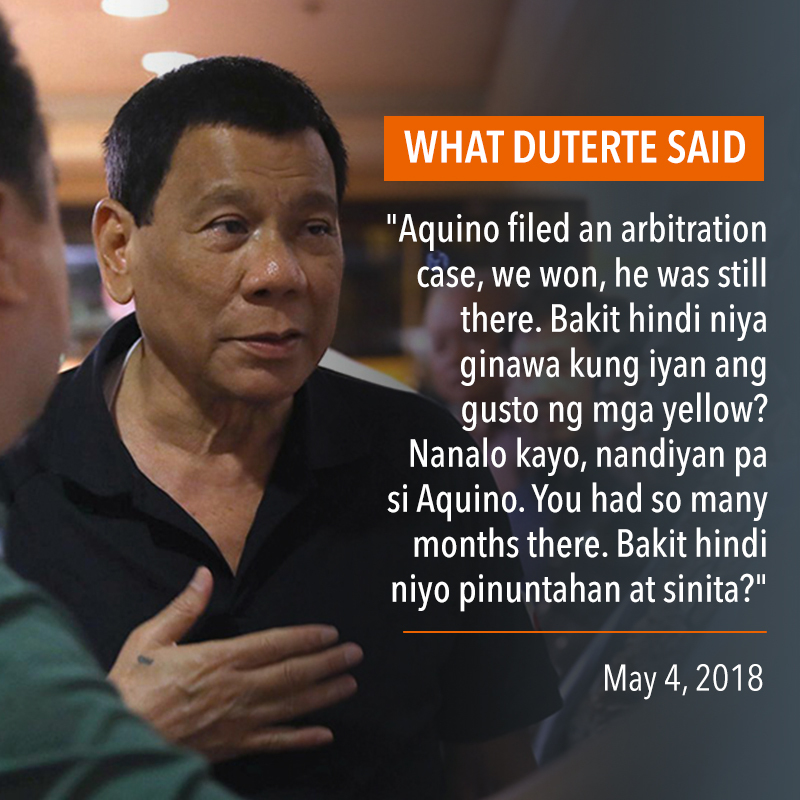 We review some of the most controversial statements of the President during his second year in office and how Roque valiantly tried to soften them. 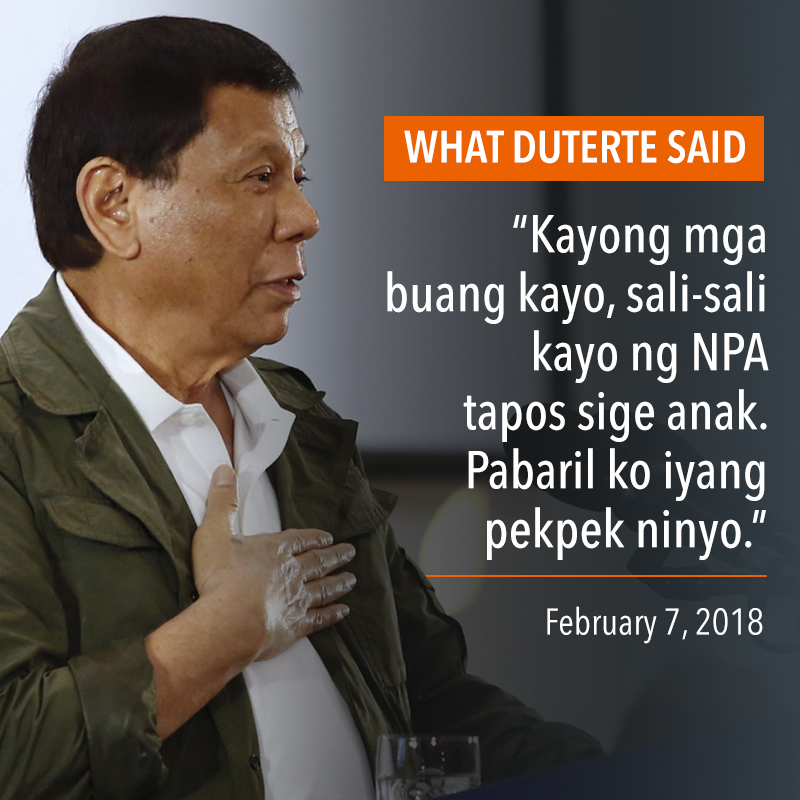 Click the Next or Previous buttons below to navigate. 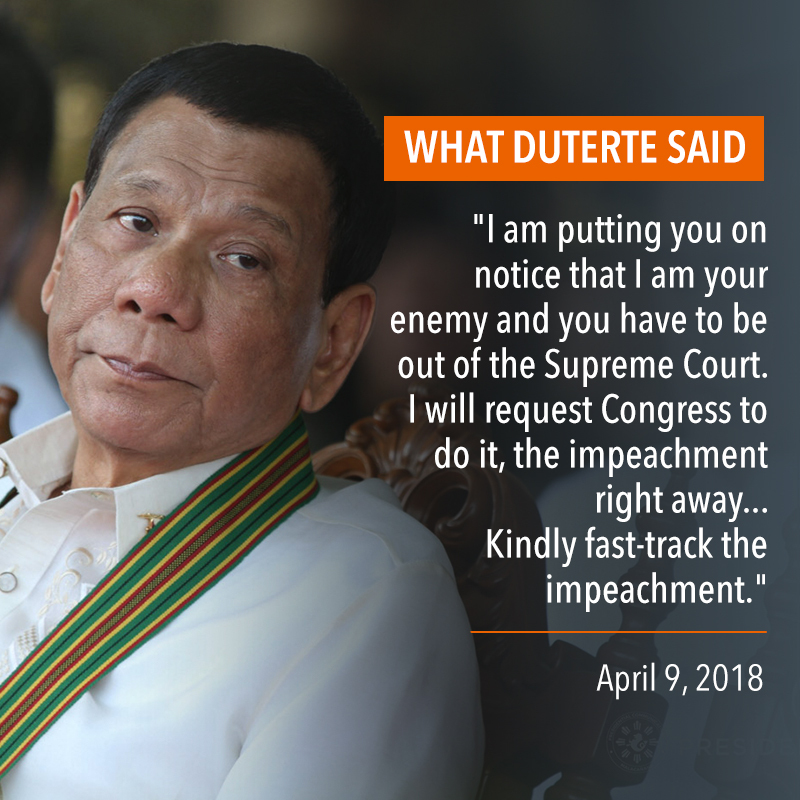 You may also swipe left or right. 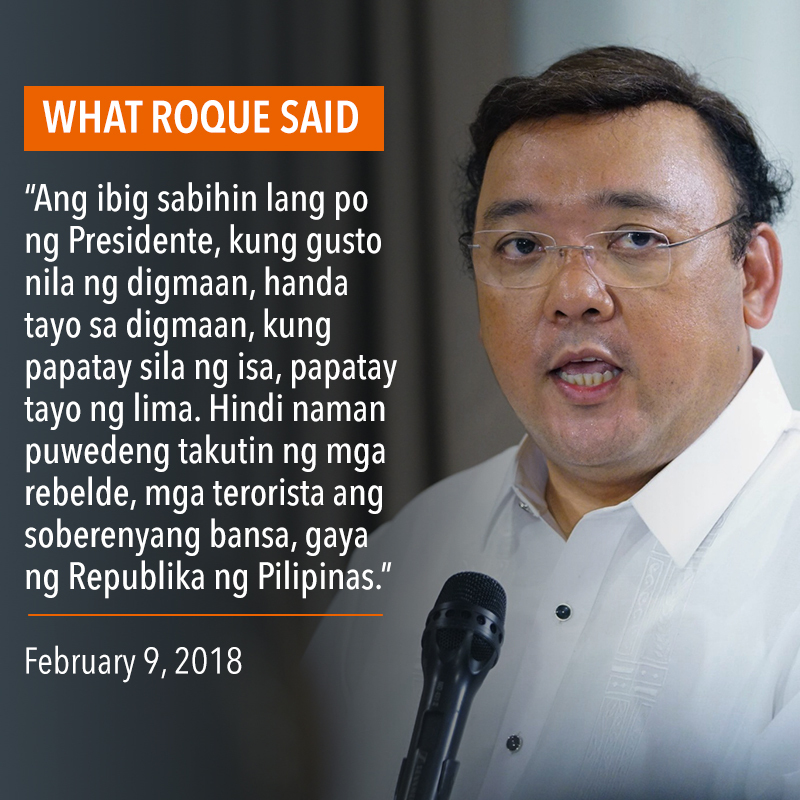 While ​the spokesperson is there to “provide clarity” to the remarks of the President, all while protecting the interest of the office, political analyst Aries Arugay warned against twisting statements too much. 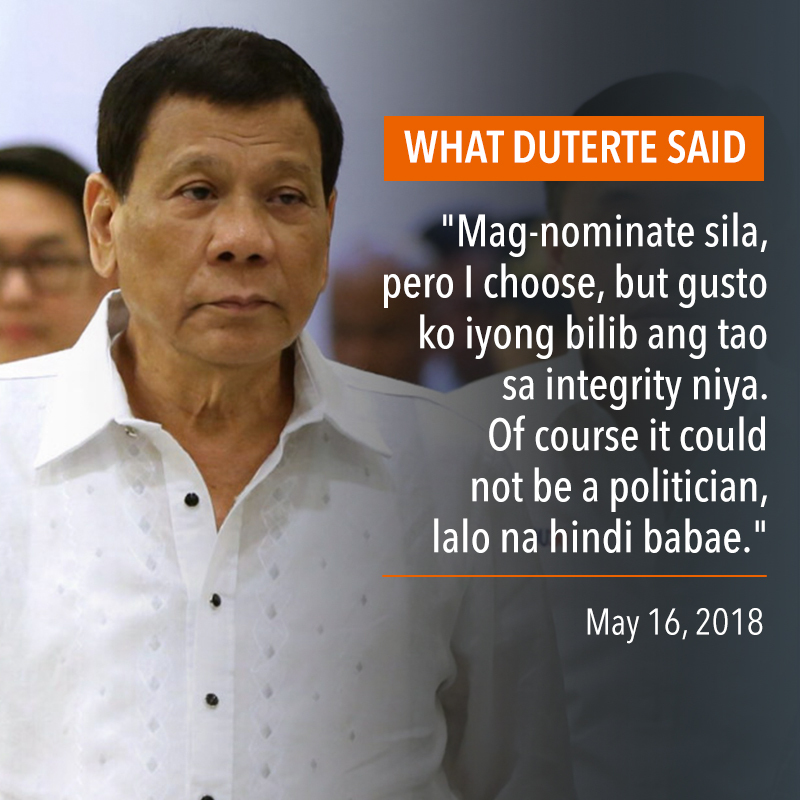 But what would make an effective spokesperson? 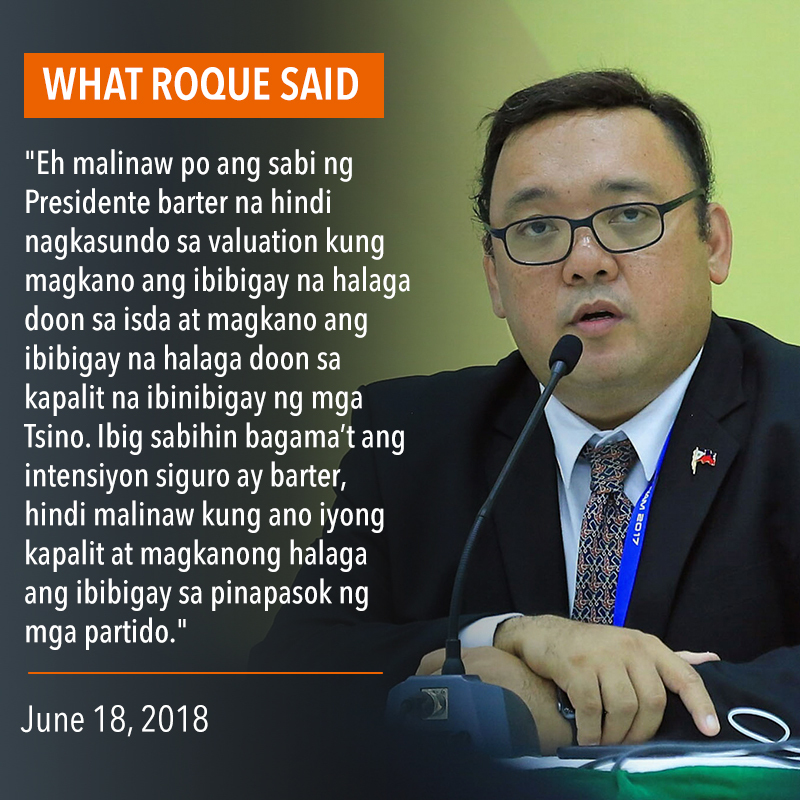 According to Arugay, he or she must be in sync with how the mind of the President works and with his worldview of issues. 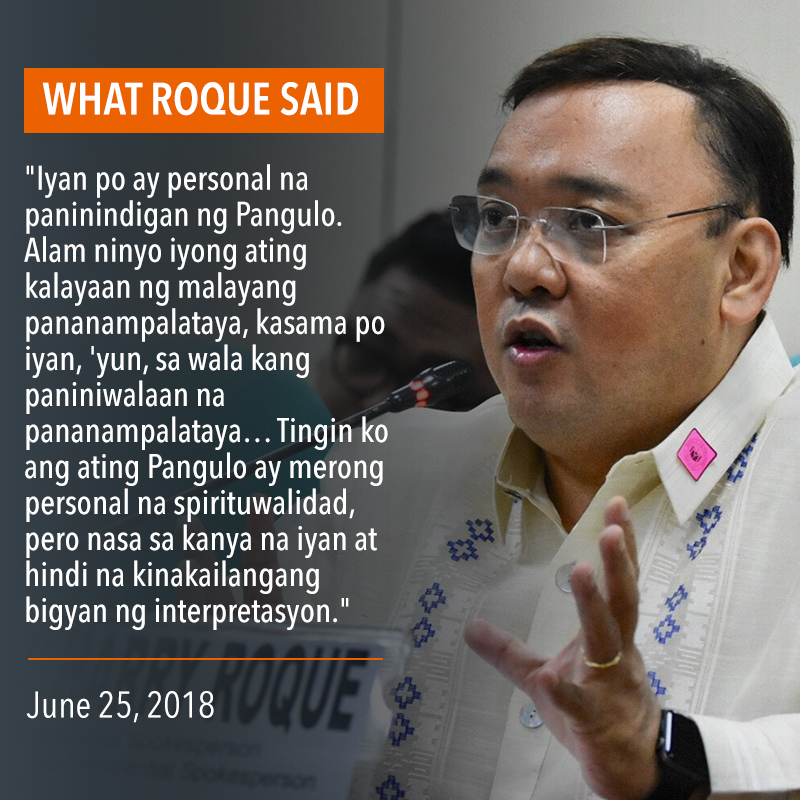 This was a clear departure from Roque’s predecessor, ex-pastor Ernesto Abella, whose job performance allegedly did not sit well with Duterte. 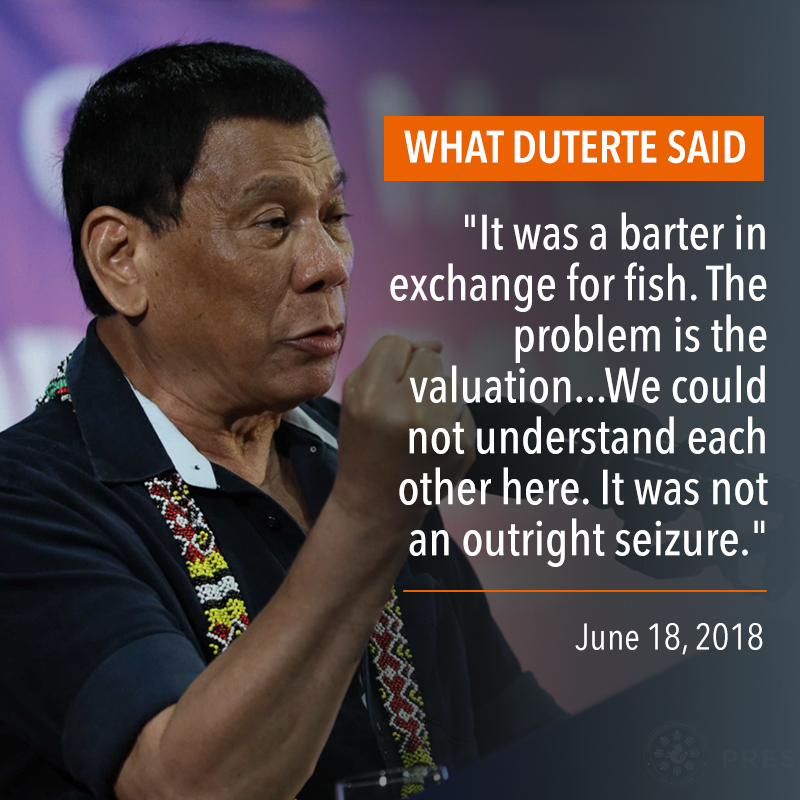 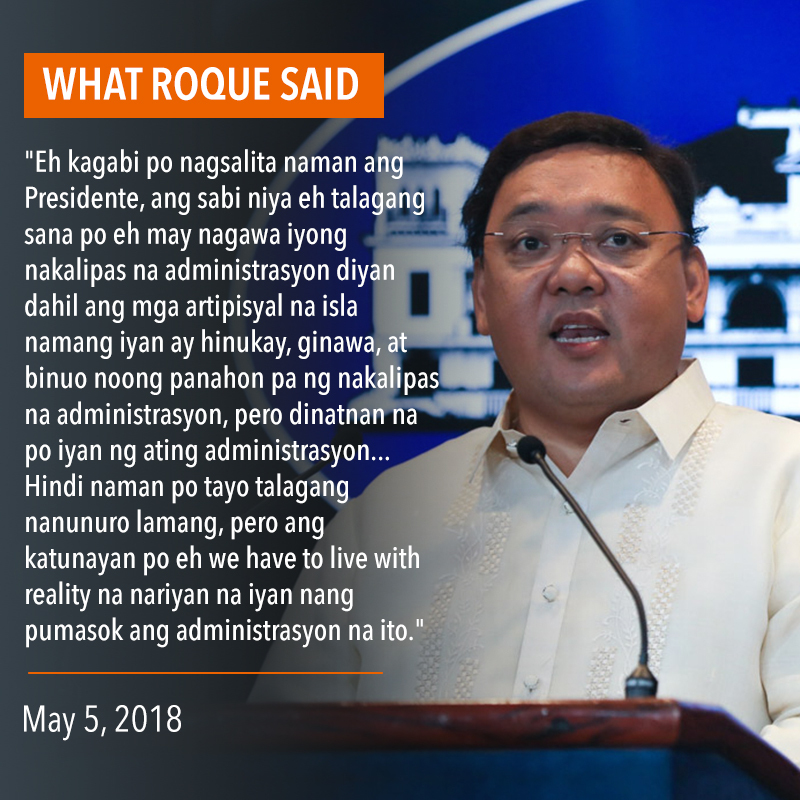 The former presidential spokesperson, who once said the President may have been "fed the wrong information,” also urged the media to use their "creative imagination" when trying to make sense of what he says. 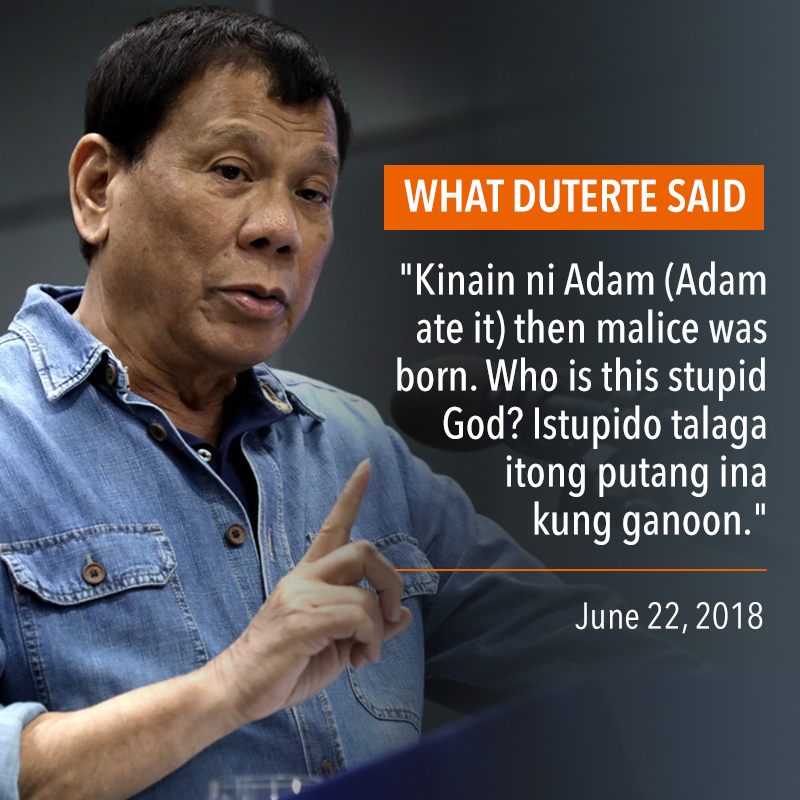 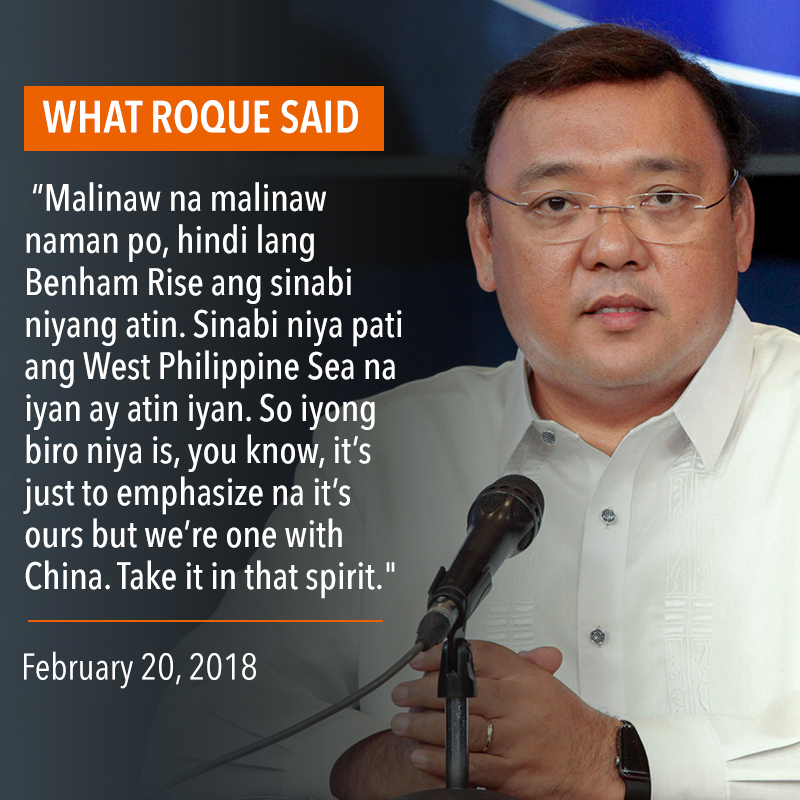 Unlike Abella, Roque is more outspoken and is not afraid to use strong language – a reflection of the “macho image” Duterte demonstrates in his public speeches. 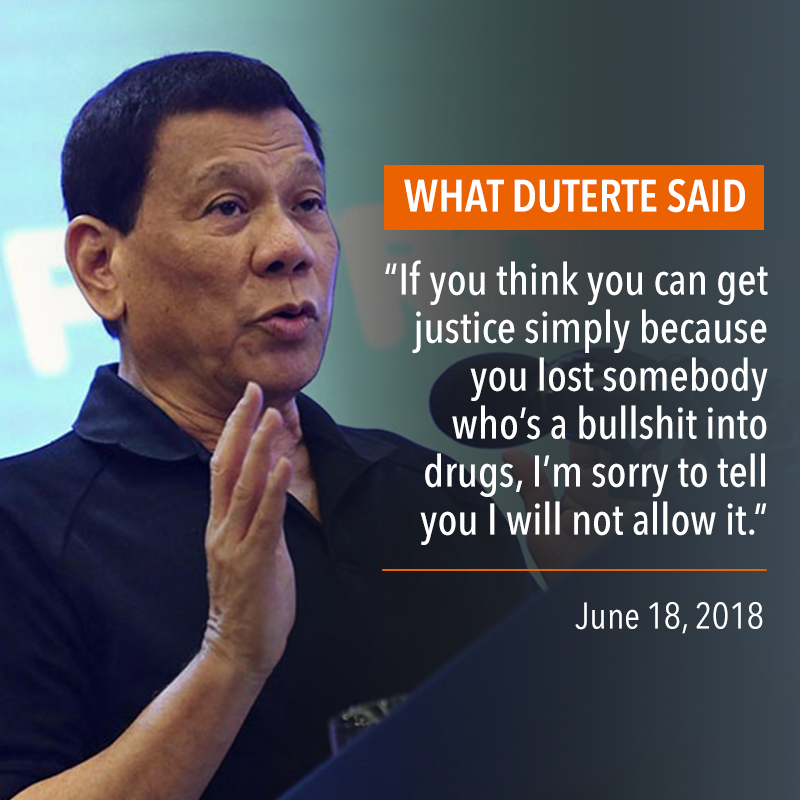 Should he apologize for Duterte’s blunders? 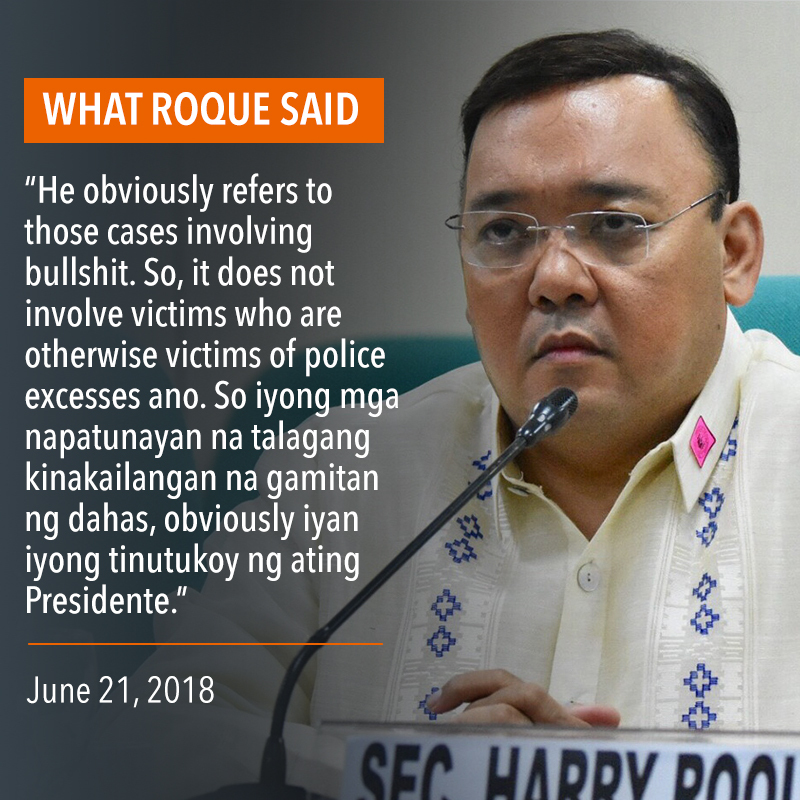 He may not because it would mean that the President himself is apologizing, according to Arugay. 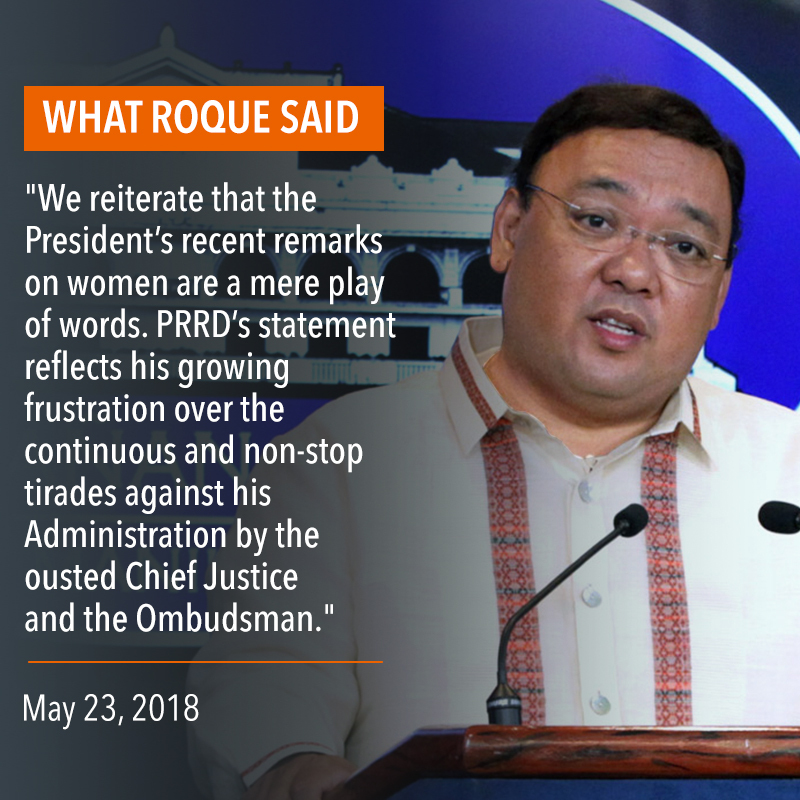 But given his rhetorical style, Arugay said that the Palace should see the importance of decent communication. 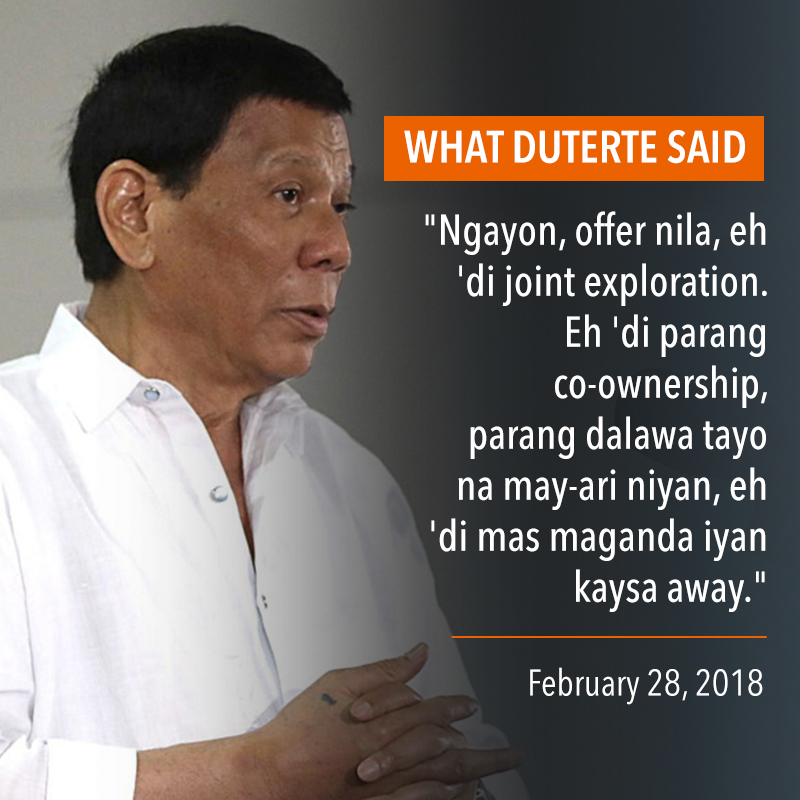 “It’s important given Duterte's propensity for off-the-cuff remarks and dislike of reading long speeches,” he said.